If the North Loop is Green Hell, the rolling hills and well tended fields that compose the area surrounding the town of Nürburg must be Verdant Paradise. The place is perfectly suited for showing off the masterclass in GT car construction that Aston has wrought with the AMR. 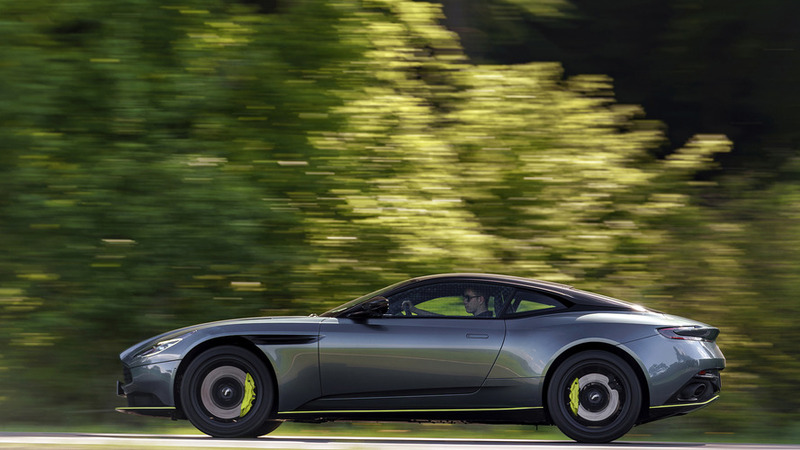 Effectively, the new car has replaced the existing V12 in the DB11 lineup, advancing the model’s already strong game in the process. 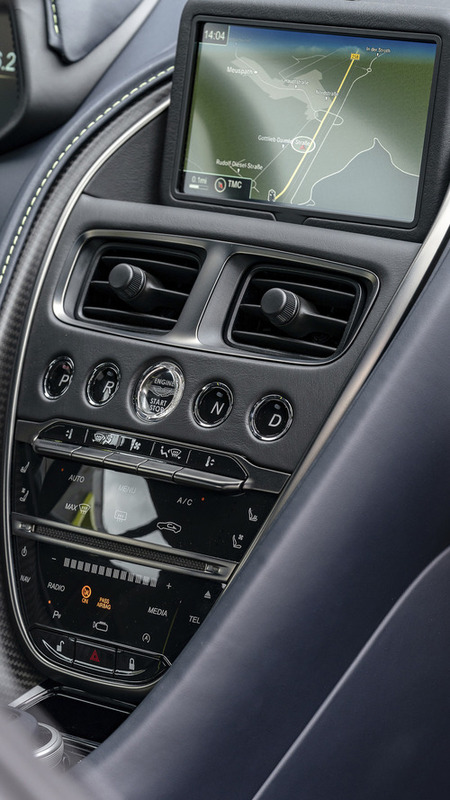 Everything starts with the newly tuned, twin-turbocharged 5.2-Liter V12 engine, now producing 630 horsepower instead of the paltry 600-hp output of the old engine. 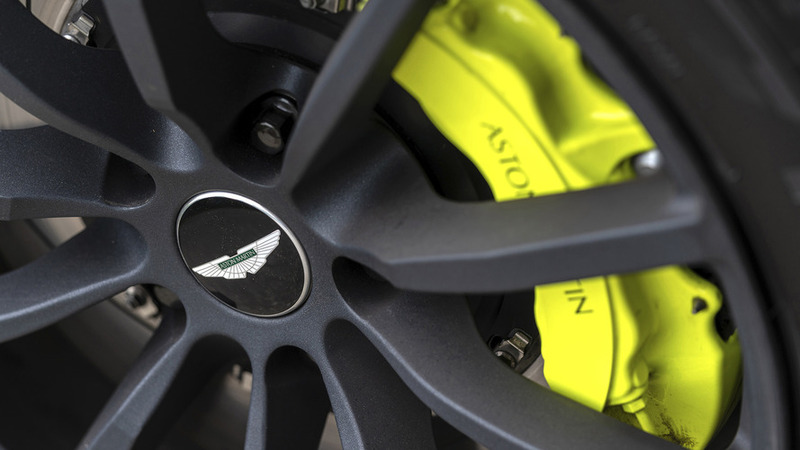 While engine torque stays constant at 516 pound-feet, all of the AMR performance metrics have inched up: 0-60-mile-per-hour time drops to 3.5 seconds, and top speed rises to 208 mph (faster than any other current Aston production car). The specs are impressive, but have nothing on the actual noise of this engine at work. There’s nothing particularly turbo-y about the way the V12 sounds or acts, with a muscular, strident tenor exhaust note rising in pitch and volume as the revs climb and power is lavished on the tidy German tarmac. Through this hilly farm country, the third of eight gears makes me a driving god. With roads this wide and smooth, passing anything short of a McLaren development mule – or another Aston – is a matter of seconds, and grins. The specs are impressive, but have nothing on the actual noise of this engine at work. 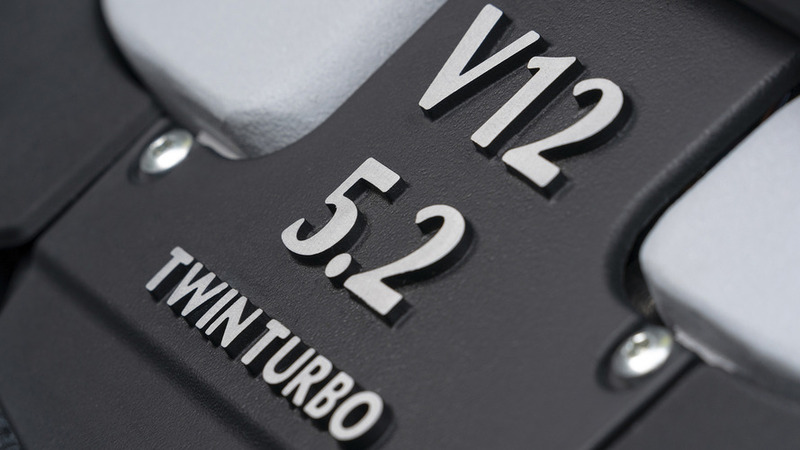 I’ve been a staunch critic of V12 options for grand tourers, mostly because the turbo V8 engines that inevitably power the base-versions of these cars are nearly as good, and lighter (so better). Just last year I found out how incredible this very DB11 can be with a punchy V8 behind its svelte nose. 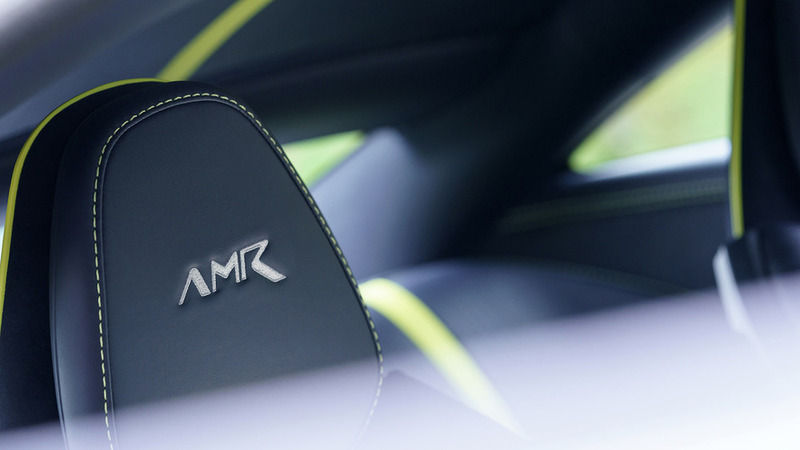 But the AMR is simply superior, with its V12’s increased ability to drive me back in my seat, and the billion-dollar sounds of the exhaust crackling on overrun. 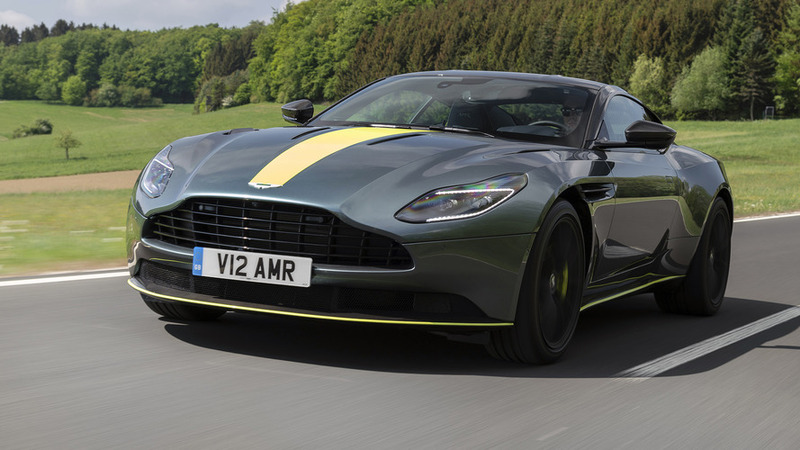 From a ride and handling perspective, the AMR has been massaged versus the old V12, but not massively changed. Frankly, it was a damn good GT car to begin with. The engineering team’s goal was to offer more driver/machine connection, without ruining the supple ride. 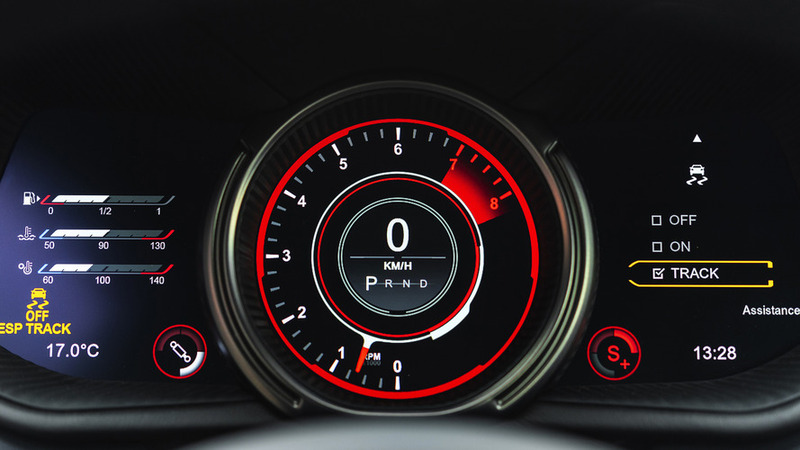 In that effort, front and rear dampers have been changed (but spring rates remain the same), there are stiffer subframe bushings in the rear of the car, front and rear roll bars are stiffer, and those strappy alloy wheels are lighter by nearly eight pounds per corner. On everything from autobahn blasts to smooth, hill-climbing switchbacks, the car performed like the thoroughbred that it is. Frankly, the three-mode suspension settings aren’t needed for most of these perfect roads, though it’s easy to detect the difference between the softest and firmest settings. Turn in isn’t quick-twitch on this long coupe, but feedback from the wheel and the sheer level of grip available in the really fast corners makes up for it. And, as you’d expect of a car in this class, high-speed performance is flawless. Exploring the 160-mph area (before running up on traffic), the car feels absolutely serene. 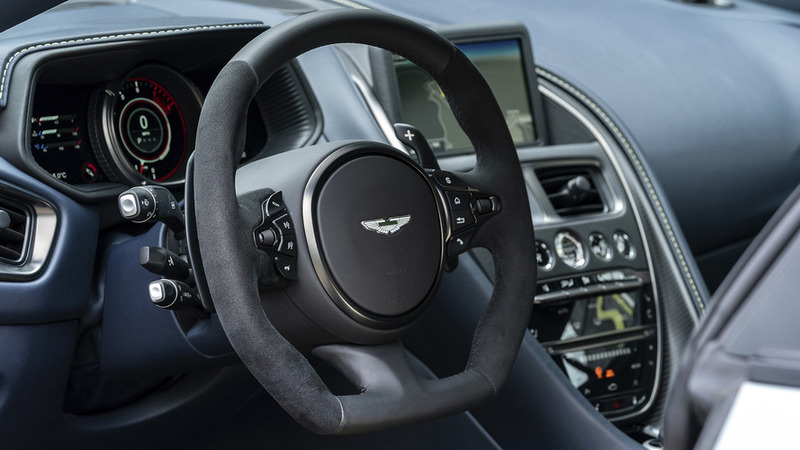 I’d guess that a full 208 mph is slightly more hairy, but perhaps more so for the driver and the Germans in the right lanes than for the Aston. With all humility, watching me scream by has got to be a pleasure for those mortals I’m passing. 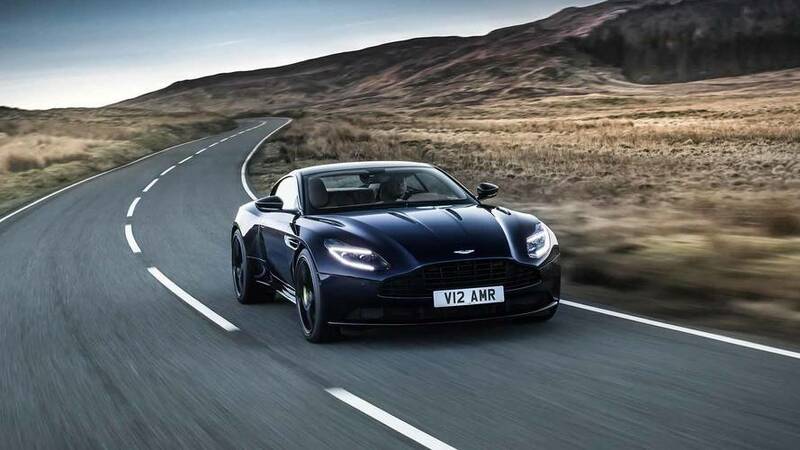 The curb appeal of the near flawless DB11 design hasn’t been improved with the AMR, so much as given a slightly darker character than its V12 predecessor and V8 sibling. The blackout treatment has been applied to the wheels, grille, vents, roof, and aero pieces, in addition to the subtle menace of the smoked front and rear lamps. In the aggregate, and especially in the available dark blue or black paint colors, it looks mean as hell. 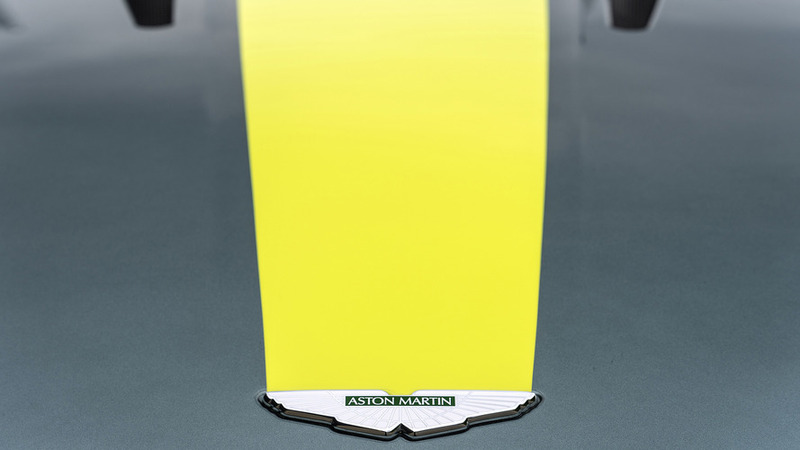 My tester is the slightly lighter Signature Edition, notable for the highlighter yellow (technically Lime over Stirling Green) stripe and accent package. The striking hue continues on into the cabin, which is not only comfortable for giant-sized people like myself, but is one of the loveliest bastions of leathercraft in which I’ve yet had the pleasure to park my keister. (Oh, and the stereo is banging.) 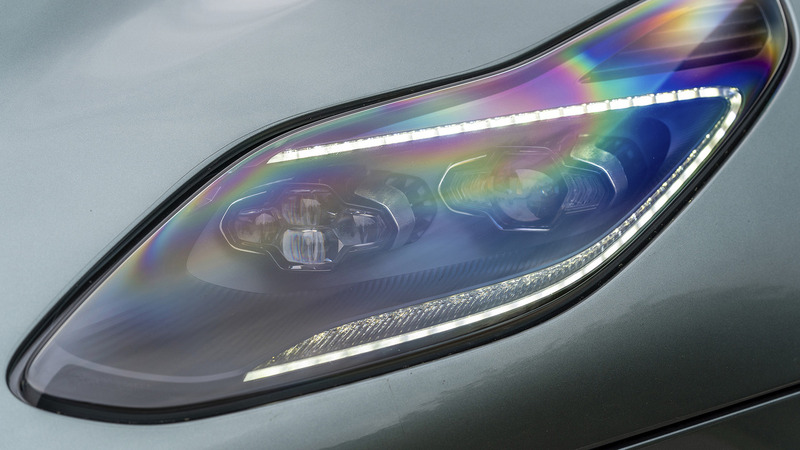 This treatment, which will no doubt be all over webpages and magazine covers, is limited to just 100 cars, so get your order in quickly if you’re a fan. Having one of those hundred will cost a paltry $29,000 premium over the $241,000 base price, so, why not, right? It’s only money. 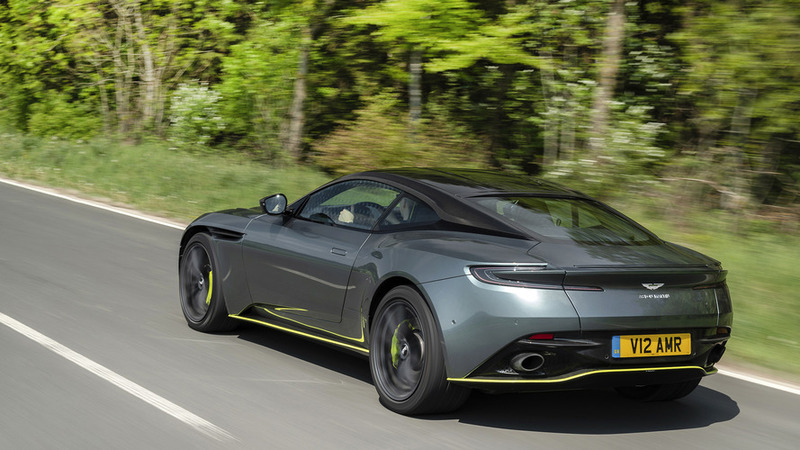 That cost, while stratospheric, actually puts the Aston in some clear air between mid-engined, $200,000-ish sports cars like the Audi R8 V10 or the McLaren 570GT and the flagship exotics from Ferrari and Lamborghini. So, she’s a stunner, and a value (at least if your Amex is black). At any price, a car special enough to make me forgive missing a ‘Ring drive has got to be pretty good. Call me spoiled if you must, but also call me deeply satisfied. I expect most days with the DB11 AMR are bound to end with the same sentiment.